Slide bead electrode for easy maintenance. Distinguishes and separately counts pinhole and bare patch flaws. 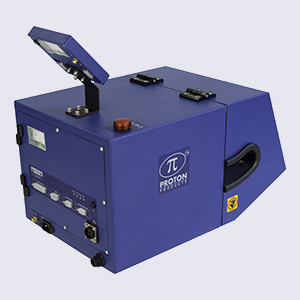 Proton Products InteliSENS® ST-HF series high frequency spark testers meet the international standards stipulated for wire insulation testing. High frequency spark testing allows a greatly increased line speed capability compared with mains frequency testing, especially in the case of UL1581, where the 9-cycle requirement makes the electrode length required for mains frequency testing impractical. 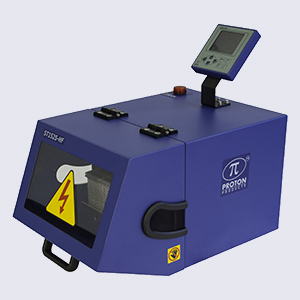 Compared with mains frequency testing, high frequency testing generates an ionization cloud at a relatively low voltage. This ensures complete coverage of the wire surface. The InteliSENS® ST-HF Series gauge head electronics are housed in a rugged IP65 sealed steel case, ensuring reliability and long operational life. 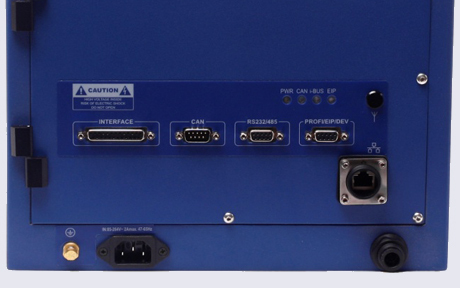 * CAN-bus protocol is proprietary and only for connection to other Proton Products equipment such as an optional CDI interface display unit. ** An optional RS-232-to-USB converter cable is available for connection to USB equipped computers.